No, it is not an additional roadside check, but in france a new generation of search dog , a bloodhound or Saint hubert dog , whose race offers superior tracking capabilities to all other dogs. 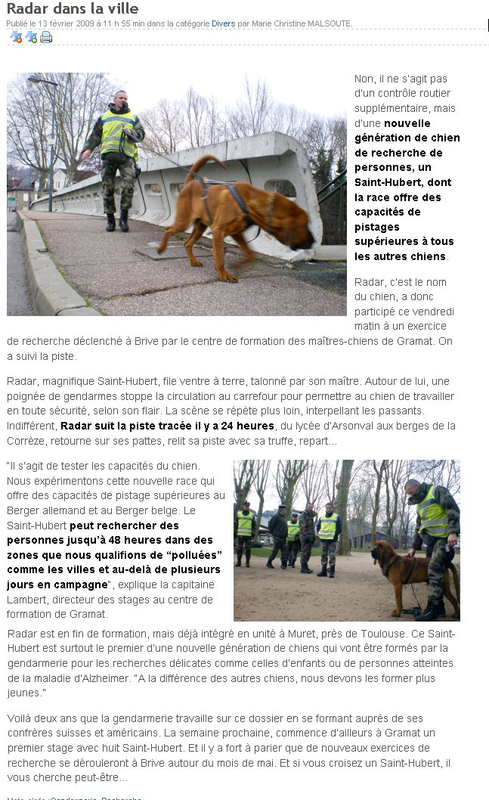 Radar is the name of the dog, has participated on Friday morning a research exercise in Brive triggered by the training center for dog Gramat. We followed the track. 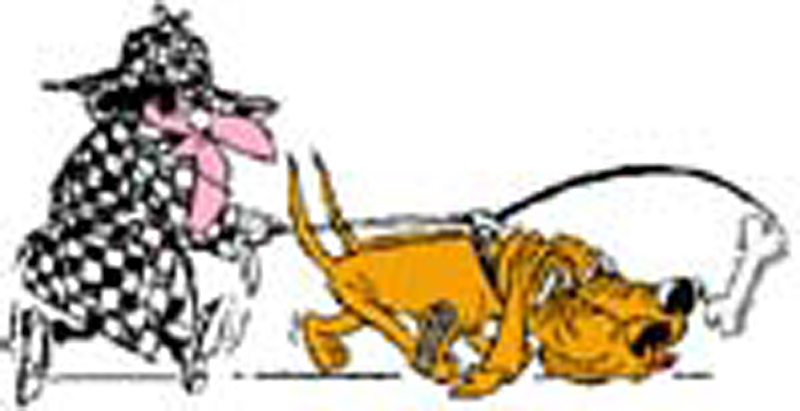 Research in the park of the Guierle "This is to test the capabilities of the dog. We experience this new breed that offers superior tracking capabilities of the German Shepherd and Belgian Shepherd. The bloodhound can search for people up to 48 hours in areas that we call "polluted" as cities and over several days in wilderness, "says Captain Lambert, Director of Internship Training Center Gramat. Radar is at the end of training, but already integrated unit at Muret, near Toulouse. The Saint-Hubert is mainly the first of a new generation of dogs will be trained by the police for search delicate as those of children or persons suffering from Alzheimer's disease. "Unlike other dogs, we need to train more young people." Two years ago that the police working on this issue by learning from fellow Swiss and American. Next week also begins with a first stage Gramat with eight bloodhound. And it is highly likely that further research exercises will be held in Brive around May. And if you see a bloodhound, you may be looking ..